We’ve been reviewing a lot of products from Canon since we started focusing on inkjet printers. This is mainly because most people tend to use inkjet printers for high-quality printing while laser printers are used for high volume printing. When it comes to output quality, Canon is considered to be one of the leading Original Equipment Manufacturers (OEMs) in the world. So, it isn’t surprising that within the inkjet printing segment, Canon has featured heavily. Till now, we’ve reviewed the Canon Pixma iP110, the Canon Pixma Home MG2560, the Canon Pixma iP8760, and the Canon Pixma iP7260. We have the fifth Canon inkjet printer in our sights now in the form of the Canon Pixma iX6860. The Canon Pixma iX6860 is a colour inkjet printer that isn’t a photo printer. You read that right. This printer’s speciality isn’t photo printing. In Canon printer models, the iP models are for photo inkjet printers while the iX code is for the OEM’s business series of printers. So, believe it or not, the Canon Pixma iX6860 is a business printer. 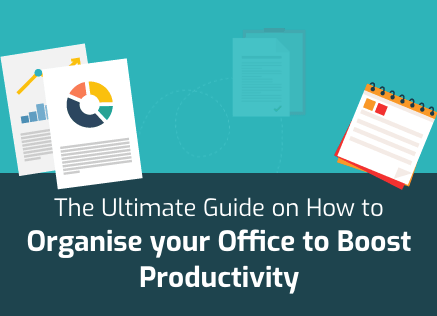 Specifically, it is targeted at the Small Office/Home Office (SOHO) segment. The iX6860 will be a good option for you if print quality is an absolute necessity and if you’re willing to forego heavy volume printing. Here’s our review to explain things in more detail. 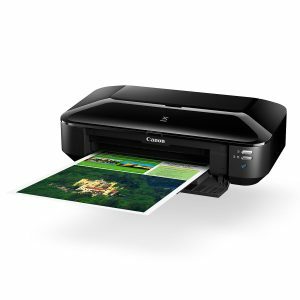 The Canon Pixma iX6860 is probably the best A3 inkjet printer in the market that doesn’t occupy half the room. This, in fact, is this device’s best aspect. The iX6860 is incredibly media versatile for the kind of space it takes. It is one of the smaller printers in the market but it offers amazing options with respect to medium size. The device can print on everything falling between 15 x 10cm and A3+ sizes. It also happens to be one of the more affordable options in the segment that it occupies. Not only can the Canon Pixma iX6860 be acquired at a very low initial cost but it also won’t require you to break the bank while in operation. You can get this device for less than $200 at most stores. At Inkjet Wholesale, though, you can get it for as low as $180. Running costs of the iX6860 are also on the low side. 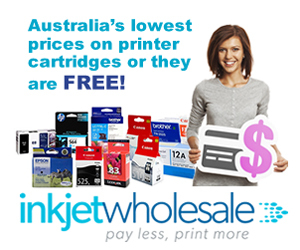 If you use genuine cartridges, then you can expect to get every print for about 17.4 cents but this is reducible. You can bring down your per-page costs down to as low as 15 cents by using reliable generic cartridges. 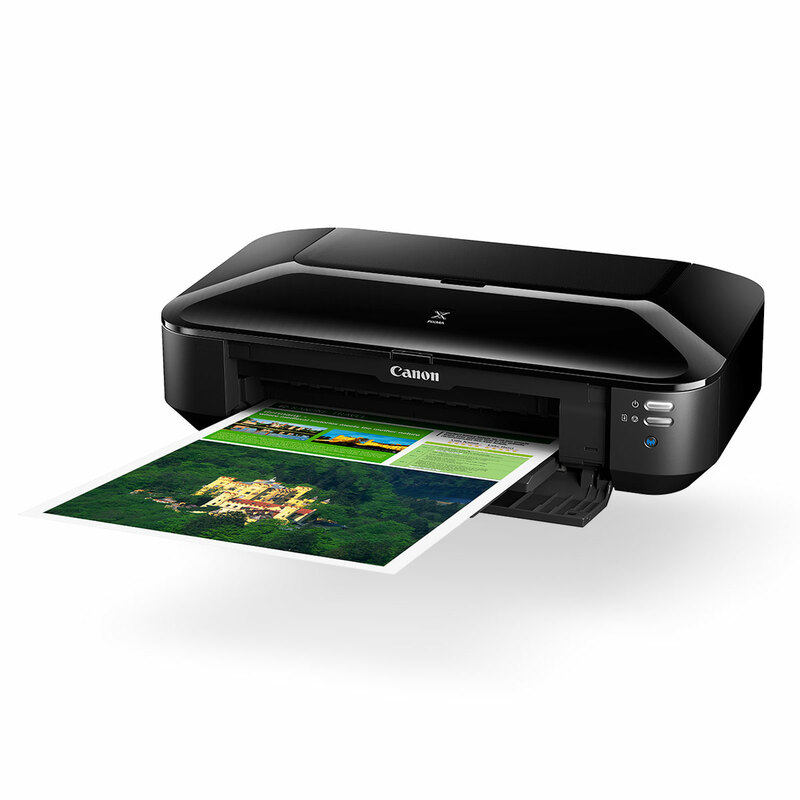 It should also be mentioned that the Canon Pixma iX6860 will also save money on power consumption. In the relevant market segment, this is easily one of the most energy efficient device on the market. Inkjet printers are known everywhere for high-quality prints. Canon, especially, is known the world over for its output quality. This is evident in the Canon Pixma iX6860 which offers excellent output quality, regardless of what you’re printing. Text prints are clear and sharp with no flaws whatsoever and graphics show good gradient and transitions. The photo prints are also excellent even though the Canon Pixma iX6860 isn’t really a photo printer. It’s Canon after all and they can’t help but deliver good photo prints. This device can deliver prints up to a resolution of 9600 x 2400 dots per inch (dpi) on the back of a five-ink system. The five-ink system consists of one pigment based black and four dye based colours – black, yellow, magenta, and cyan. Connecting the Canon Pixma iX6860 to your devices shouldn’t be a problem either. It supports Ethernet and wireless based connectivity both. USB 2.0 port is missing but that shouldn’t be that big a problem with wireless connectivity at your fingertips. The printer is also compatible with Google Cloud Print and Apple Air Print. The biggest problem with the Canon Pixma iX6860, as is the case with all Canon devices is empty cartridges. If even one cartridge runs out, Canon printers stop running till you replace the empty cartridge. This is applicable regardless of whether you need that coloured ink for a particular print task or not. For example, the print will refuse to print your monochrome text document if even one colour cartridge is empty. This can be quite annoying but the reason for it is that the printer uses colour inks to create the right shades in monochrome documents. This problem becomes particularly aggravating because the device uses ink freely in its cleaning cycles. So, you have ink cartridges running out fairly quickly depending on your printing habits. 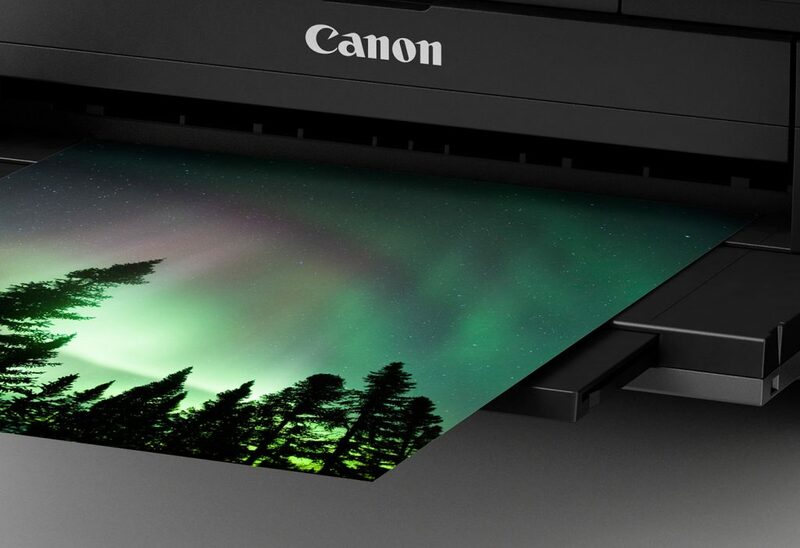 While Canon did everything to ensure that the Canon Pixma iX6860 saves you money, they missed out on a trick – automatic duplexing. The device has no automatic duplexing which can be very useful in saving paper. Even though the automatic option isn’t available, manual duplexing is possible from the software side of things. In order to keep the device compact and sleek, the OEM also decided to go without a screen. The control panel on the Canon Pixma iX6860, instead, exists of three LED lit buttons. These buttons are for wireless setup, paper feed, and power. 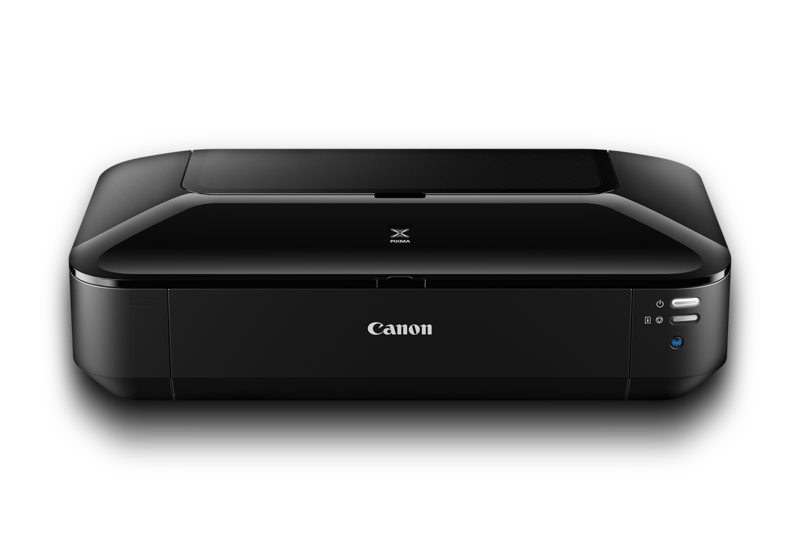 In the strengths section earlier, we mentioned that the Canon Pixma iX6860 is possibly the most compact A3 inkjet printer on the market right now. It measures about 159mm high, which means that it is quite flat. Its depth is only 310mm but its width is considerable at 584mm. The problem with this device’s dimensions, however, is that they don’t remain static. Let us explain. When in operation, the device is much bigger because many components have to be unfolded. First, you have to flip open the top panel and draw out two telescopic sections from the flipped open cap. In the same vein, the front panel needs to be unfolded and it also has three telescopic elements. Effectively, the Canon Pixma iX6860 has twice the footprint while at work than at rest. The weight of this device is middling at 8.1 Kg. You can probably move it around yourself. You’re probably also wondering about the print speed of this printer. It is neither exceptional nor bad. The Canon Pixma iX6860 is rated to print at about 14.5 Images per Minute (ipm) for monochrome prints and at approximately 10.4 ipm. Incidentally, ipm can be equated to Pages per Minute (ppm). 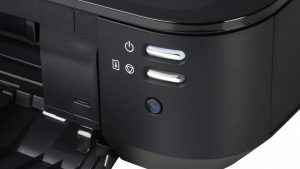 The device offers borderless printing and comes with a software suite. The software suite contains Easy WebPrint EX (efficient printing from the web), Fun Filter Effects (filters for images), Creative Park Premium (an online repository of images), Full HD Movie Print (print from movies), and My Image Garden (image management).